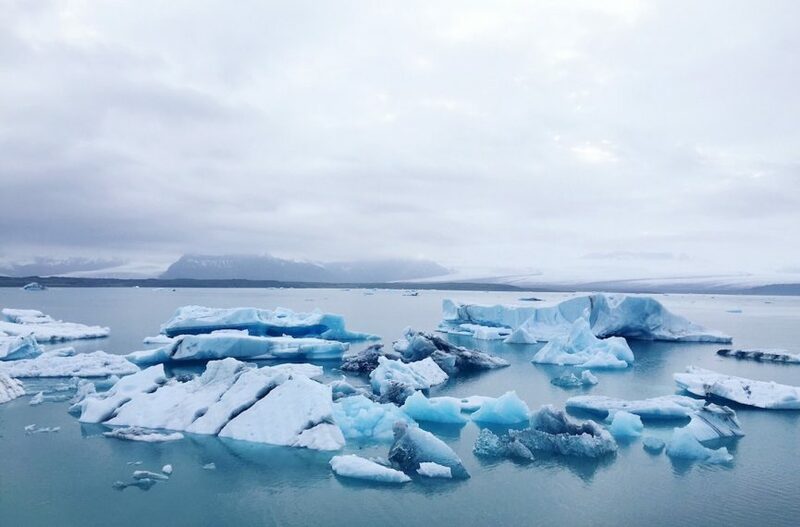 Five hours from Reykjavik, off the side of Iceland’s Route 1 “Ring Road” highway, is the chilly Icelandic natural attraction of Jökulsárlón Glacier Lagoon. 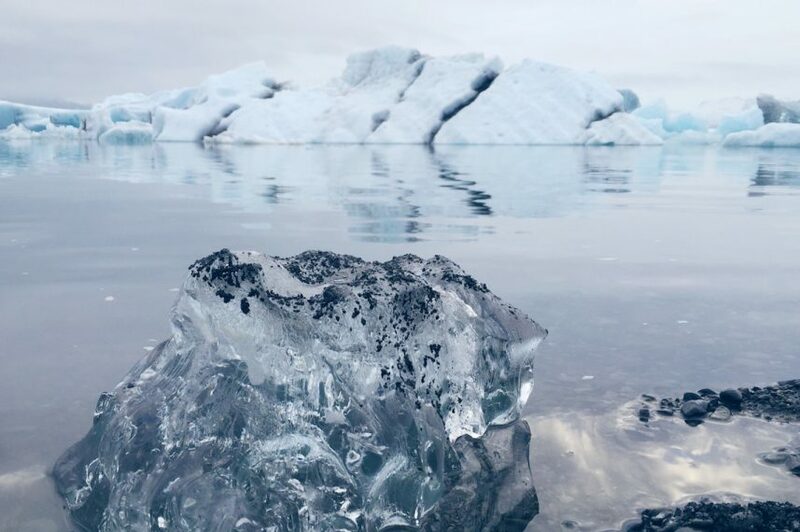 Huge blocks of ice constantly break off Breiðamerkurjökull glacier, and large icebergs float on the lagoon. Breiðamerkurjökull is an outlet of the Vatnajökull glacier, the largest glacier in Europe, covering 8% of Iceland. The lagoon is not very wide but it is up to 250 meters deep, which makes it the deepest lake in Iceland. According to Lonely Planet, the lagoon is only about 80 years old, and was formed due to global warming. 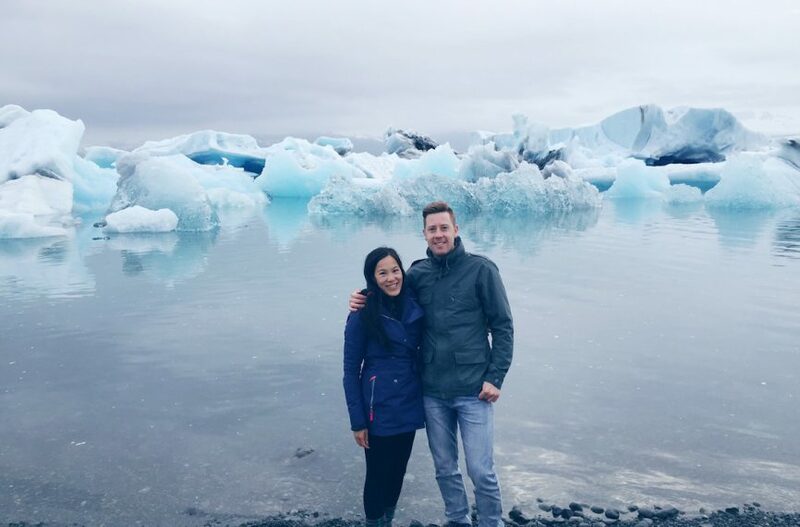 We were fortunate enough to experience seeing a piece of a big iceberg break off into the sea. We heard a big CRACK sound and then a splash into the water. 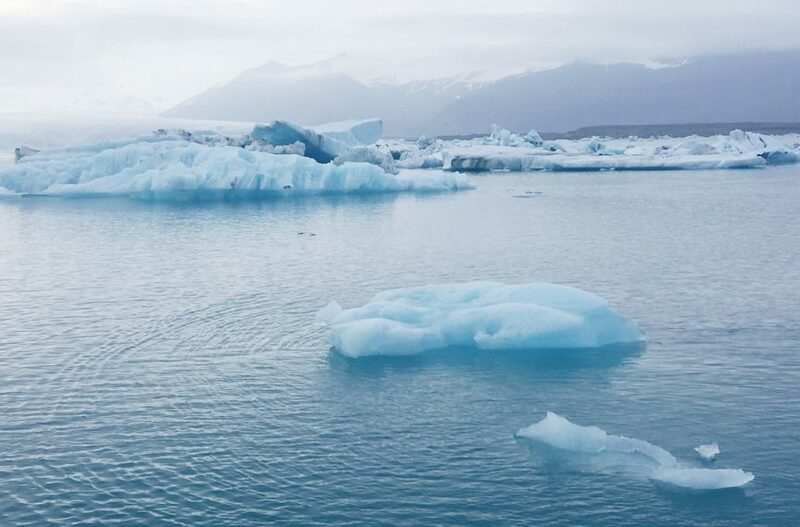 The smaller iceberg then drifted in the lagoon, floating to wherever the flow of water takes it. Amphibian (5,000 ISK) – The vessel looks more like a traditional small boat. There’s no fixed schedule for departures, so it’s okay to purchase tickets on location. Zodiac (8,500 ISK) – This looks more like a speedboat or motorized raft. The Zodiac tour operates on a fixed schedule (departing every 1 – 2 hours) so it’s best to book online in advance. If you’re not fussed about doing the boat tours in the lagoon, I would highly recommend planning your visiting after 7pm (which is what we did during the summer season). 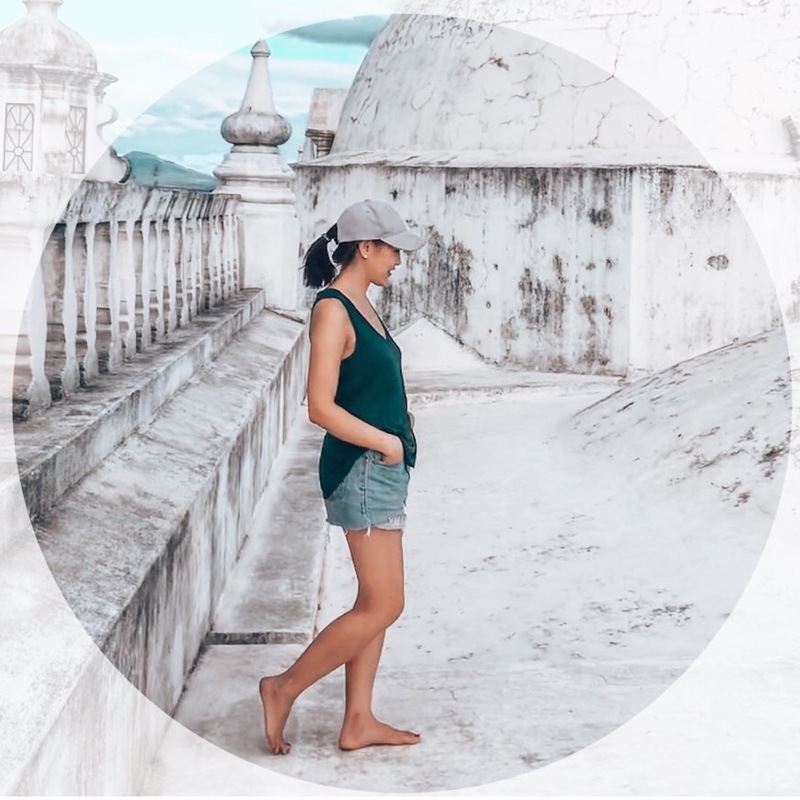 That way, you’ll bypass the bus loads of tourists and have a bit more of a peaceful, surreal and natural experience with the lagoon. 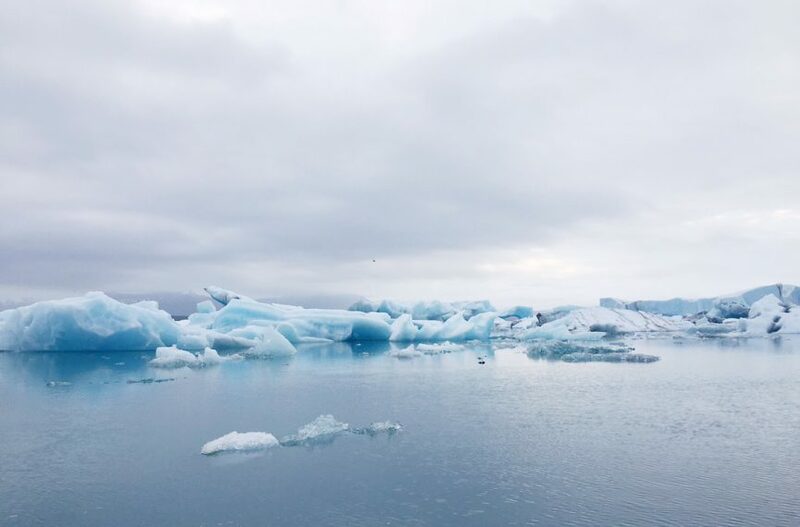 Here are some of my favourite photos from Jökulsárlón – it’s very therapeutic to watch the icebergs drift by. Sometimes the icebergs even wash up onto the shore of the black sand beach! For another black sand beach experience, see our blog post on the black sand beaches of Vik.